This is more like a month’s worth, so notes will be succinct. 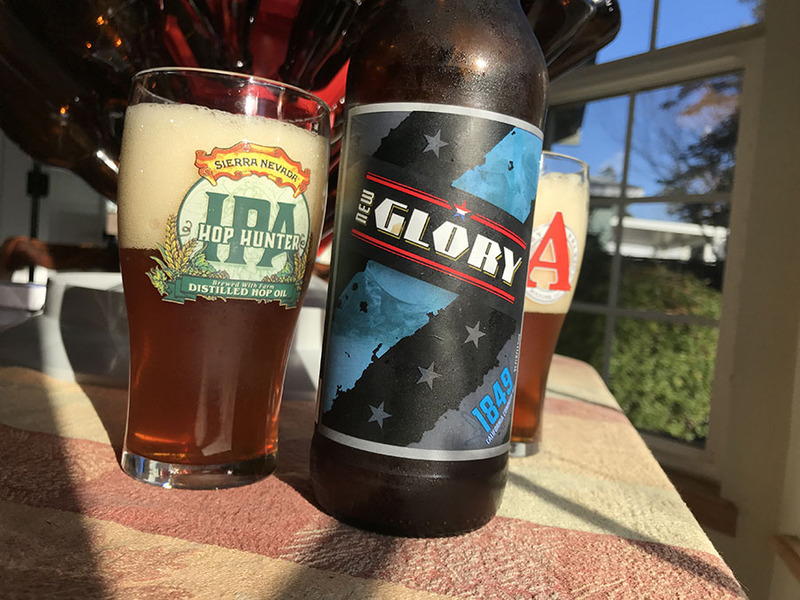 New Glory Listen Up Double IPA – This snuck in at the end of 2016 to claim its spot as one of the best beers I had all year. A mind blowing combo of relatively low bitterness, amazing rich mouth feel, and enormous citrus hop flavor. I really hope they make more of this and I can track some down! 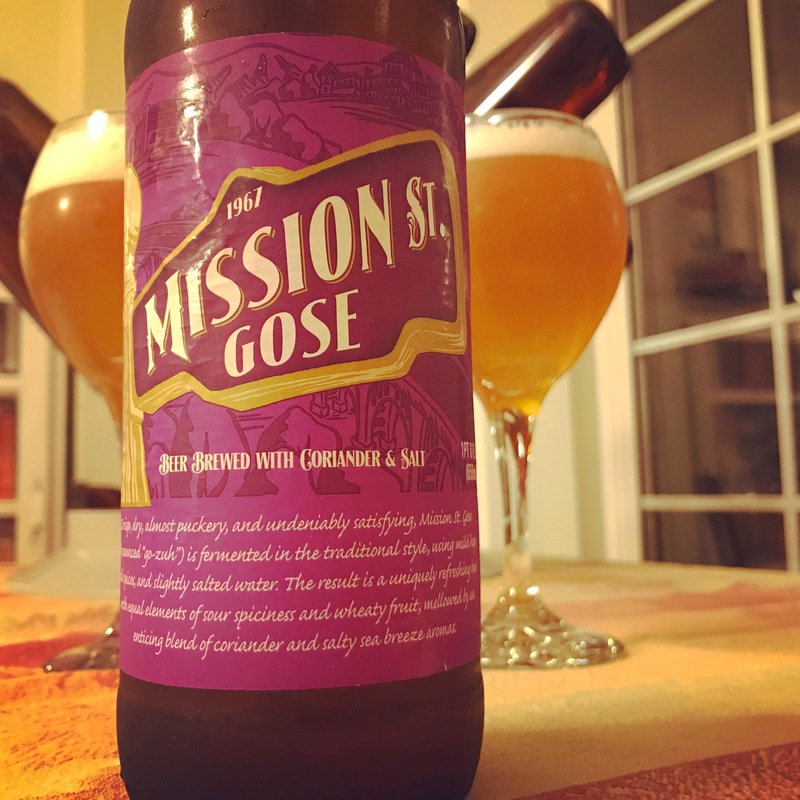 Mission Street Gose – Not good. Didn’t finish the bottle. Via Trader Joe’s. 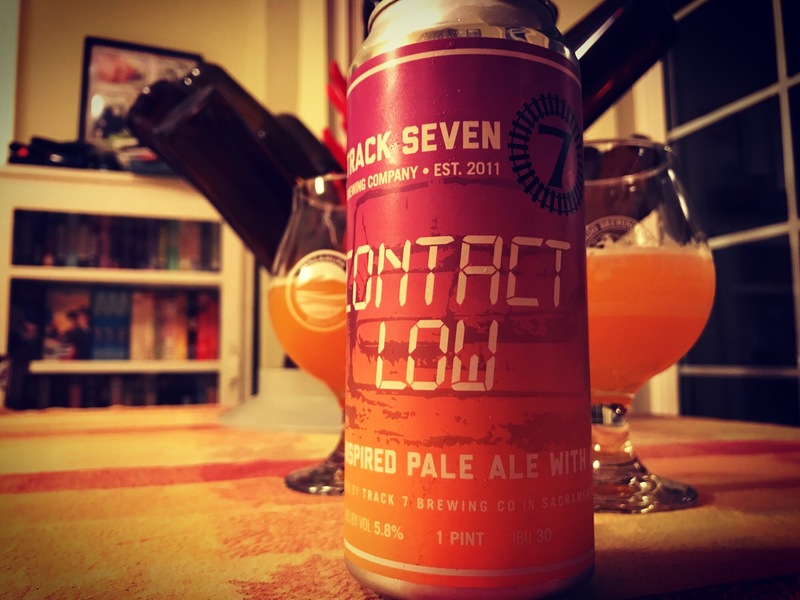 Track 7 Contact Low with Apricot – Very good, although I might have preferred the original. 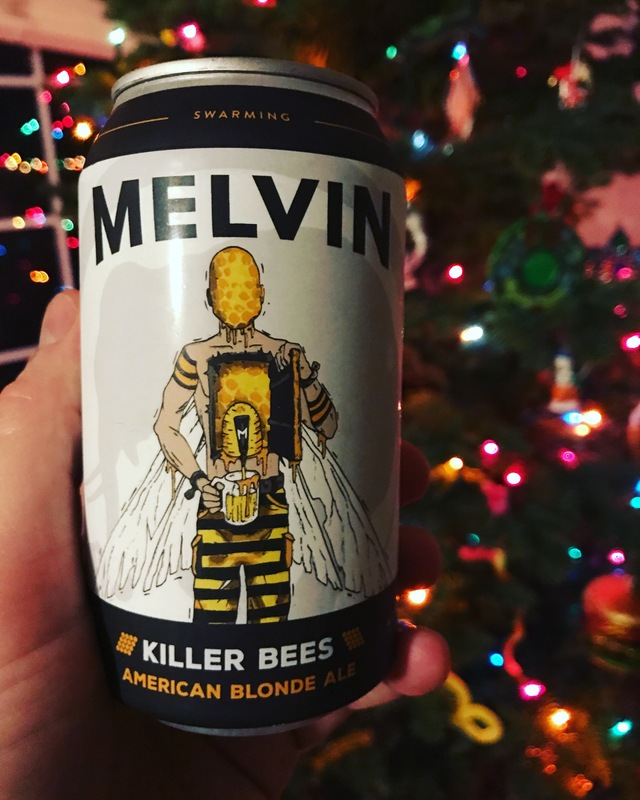 Melvin Killer Bees – I didn’t like this one. Muddy malt flavor didn’t work with the honey. Via Tavour. 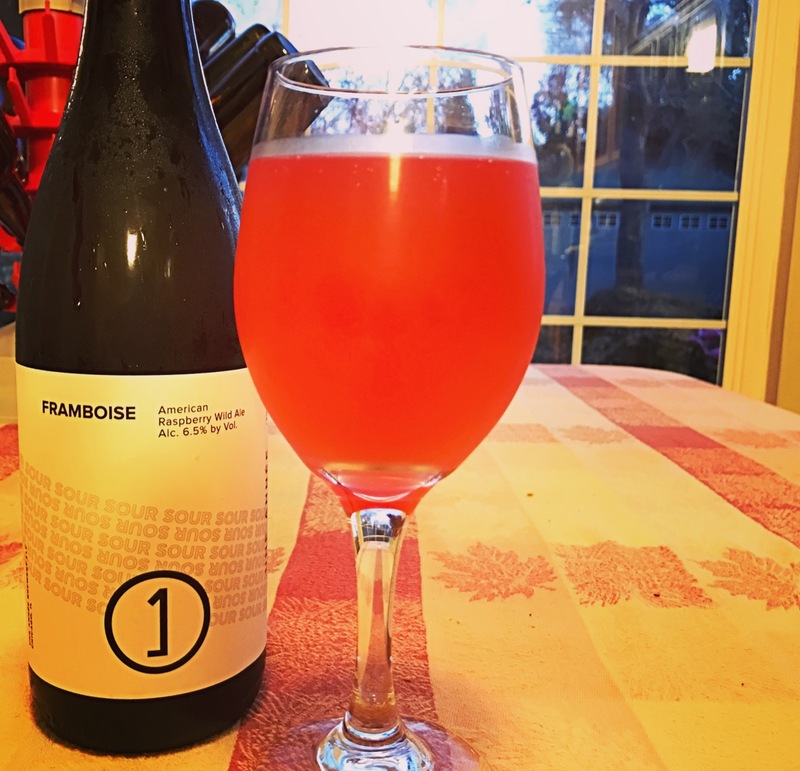 Une Année Framboise – Fantastic sour beer. I haven’t had a lot of the Framboise style, but I definitely enjoyed this one. Via Tavour. 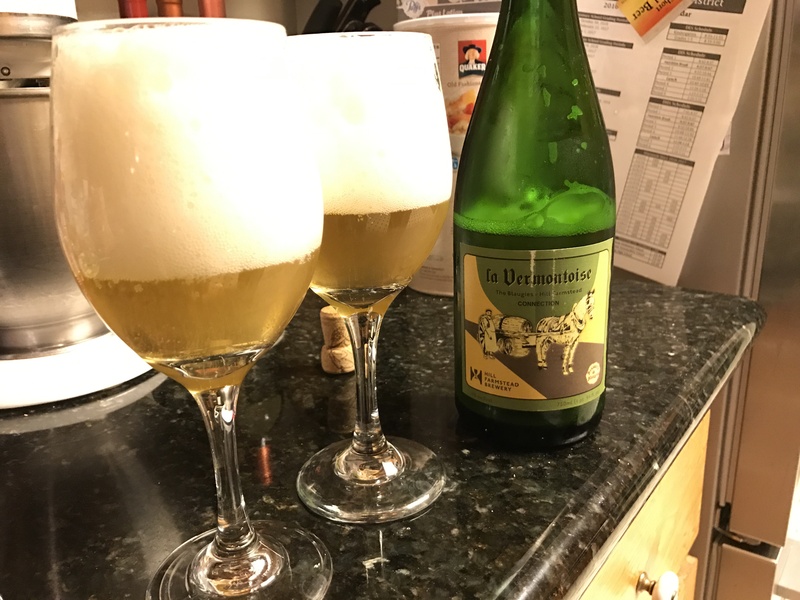 Hill Farmstead & Brasserie de Blaugies La Vermontoise – I’ve never had Hill Farmstead before so I was really looking forward to this one. It was awful. It tasted like band aids and tires. Something went horribly wrong here. While their overall track record is still impeccable this is the first bad beer I’ve received from Tavour. Heathen Saison D’ été – This is a “French-Style Saison ale brewed with brettanomyces and honeysuckle, aged in used Gin barrels.” It uh, tasted like that. A nice barrel aged Saison. Not overly heavy on the honeysuckle or gin. Via Tavour. 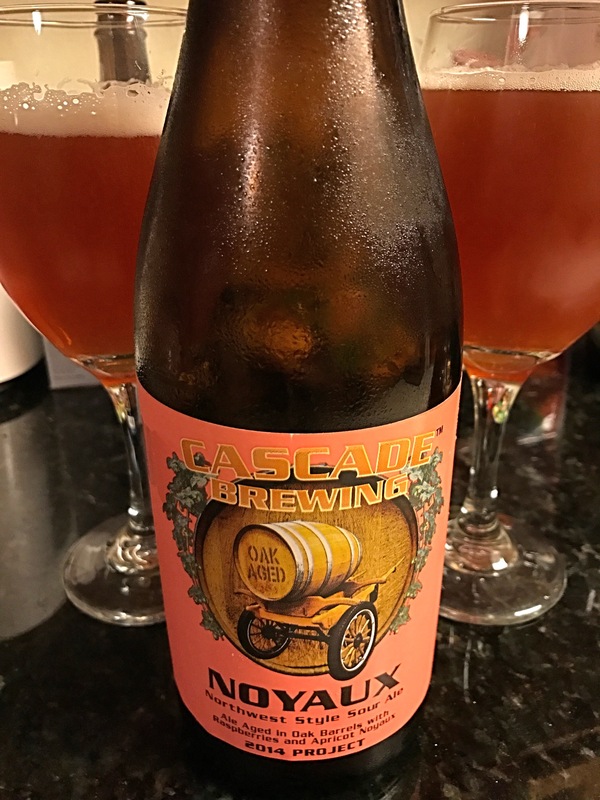 Cascade Noyaux – Cascade is expensive, but I’m learning that its worth it. This is less a beer, and more of an experience. Sooo good, so complex! This is unquestionably a world class sour beer. Via Tavour. Sudwerk Amber Lager – These guys are pretty straight up with their German style beers, but they’re also very good at what they do. 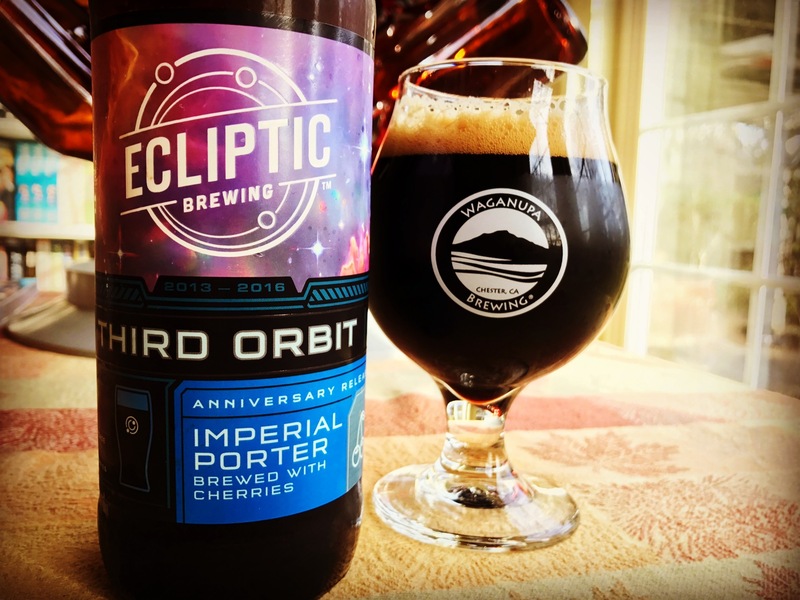 Ecliptic Third Orbit Anniversary Imperial Porter Brewed with Cherries – An excellent Imperial Porter with just the right touch of cherry. Via Tavour. 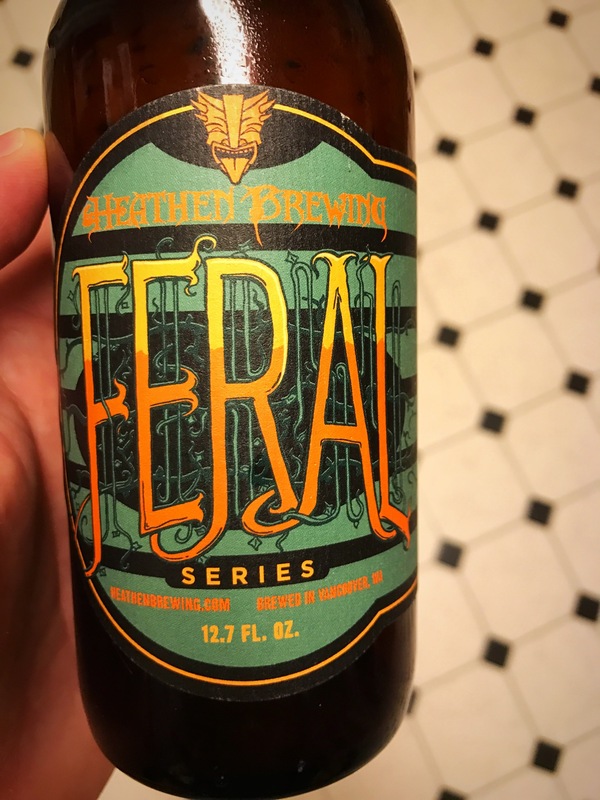 Sierra Nevada Barrel Aged Wheatwine With Lemon – This was part of a sampler I had a few weeks ago so specifics are hazy. 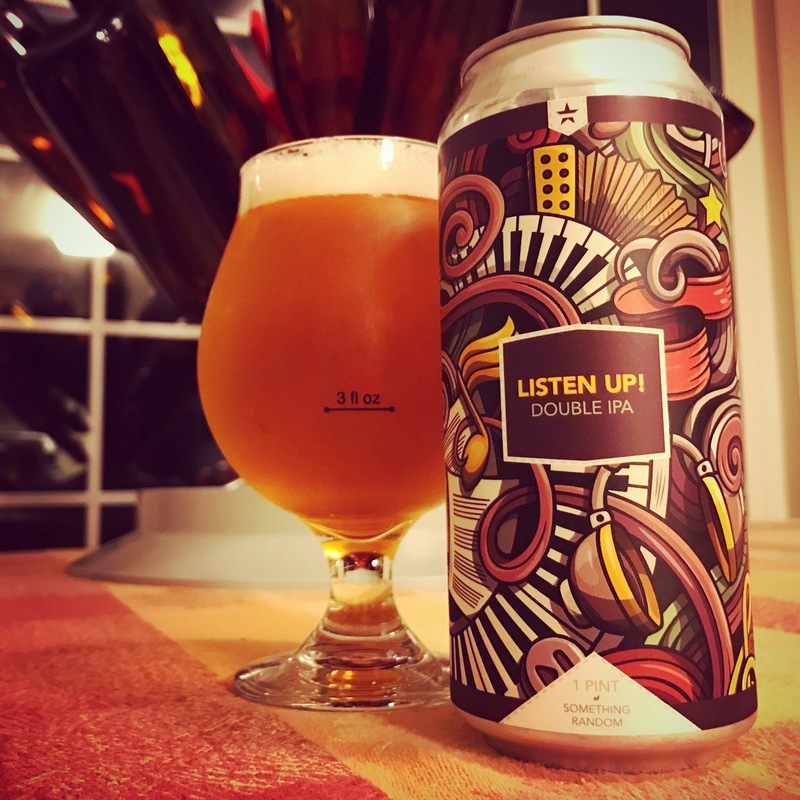 I gave it 4/5 on Untappd, which means I liked it. 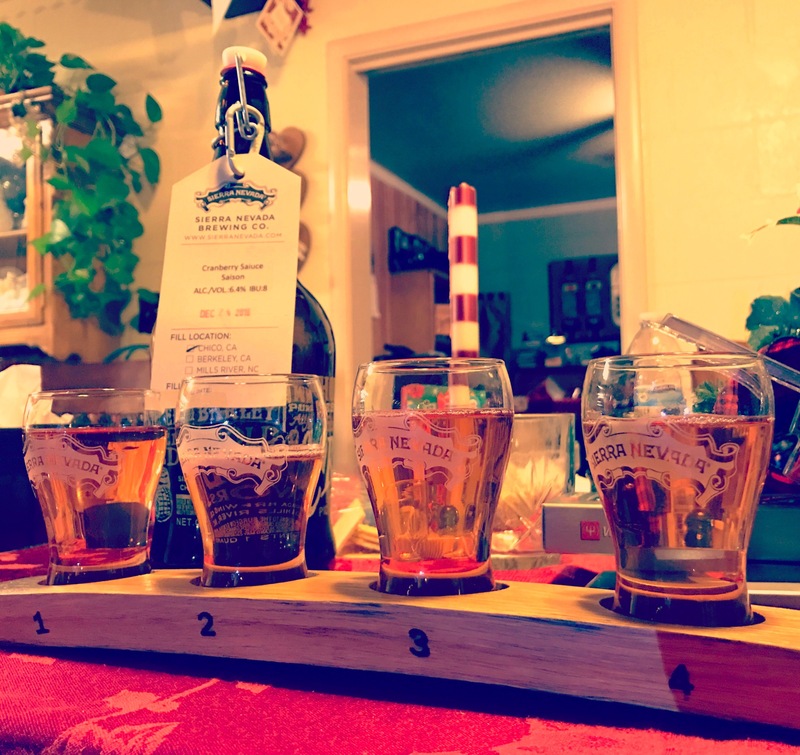 Sierra Nevada Maple Scotch Ale – Beautiful Scotch Ale. Good work gentlemen! 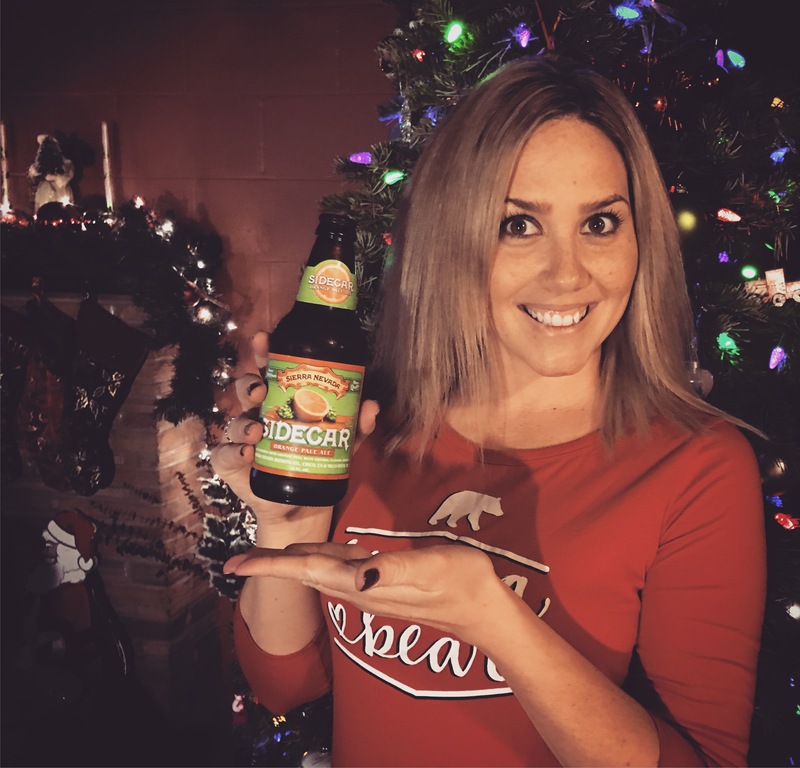 Sierra Nevada Christmas Jam Session – Very nice hoppy Pale Ale. Sierra Nevada Sidecar Orange Pale Ale – Super drinkable. A couple years late to the fruity beer game, but this one will appeal to a wide market. Highwater Sunshine Daydream – Me: What style is this Sunshine Daydream? Waitress: It’s like a Guiness, but with oranges. A Cream Ale shows up. Me: Holy crap, this tastes like chocolate, and orange creamsicle. 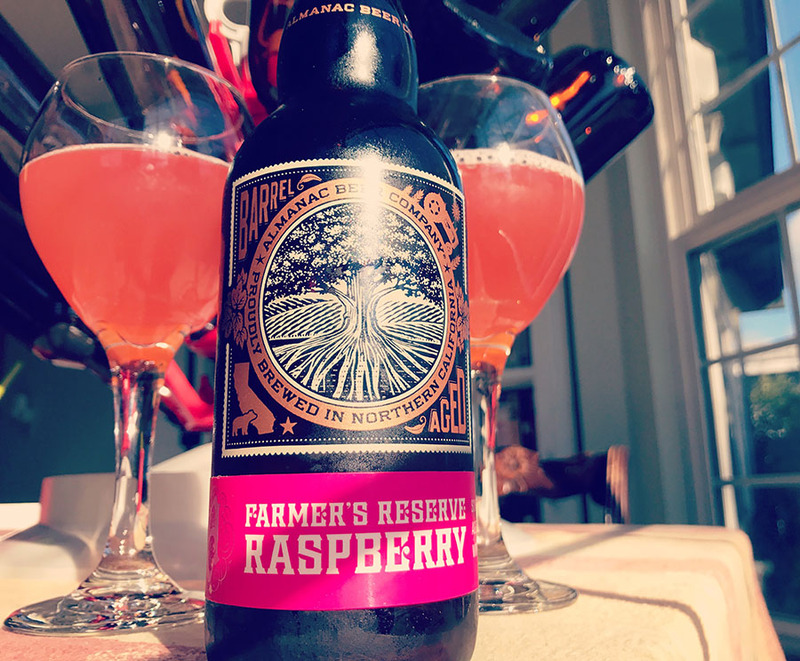 Almanac Farmer’s Reserve Raspberry – Not as good as the Blueberry, but still very good. New Glory 1849 Common – Awful. I think this beer was badly abused. I swore to never buy a beer from a grocery store as I poured this down the drain. Grocery stores abuse beer. Find a good bottle shop that takes care of their beers. Ship Bottom Double Overhead Double IPA – 10.4% ABV, big bodied, bitter. This made me think New Jersey hasn’t figured out that you don’t have to double everything when making a Double IPA. California figured this out a few years ago. Good beer, but kinda seems like an outdated interpretation of the style. 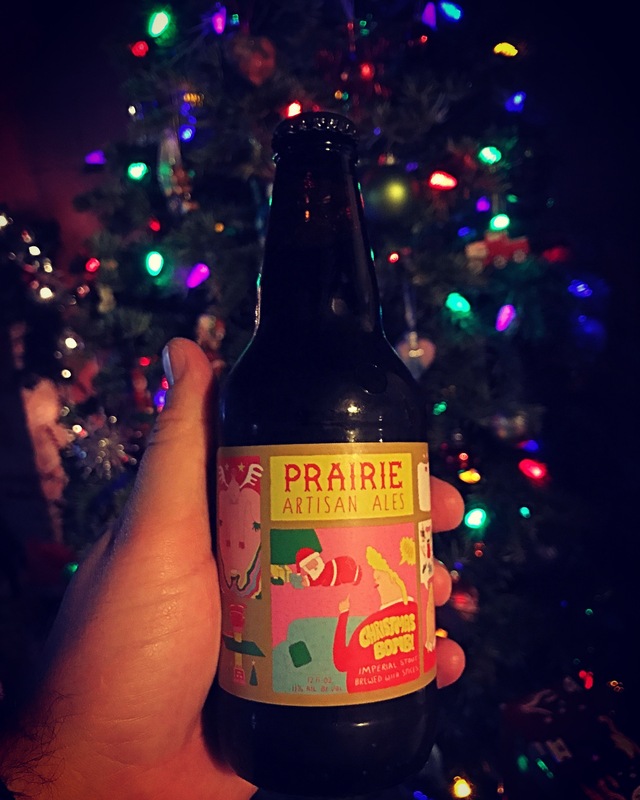 Prairie Christmas Bomb – Very interesting and complex Imperial Stout. Coffee, chilies, cinnamon, chocolate, and more are packed into this crazy flavorful and robust brew. Via Tavour. 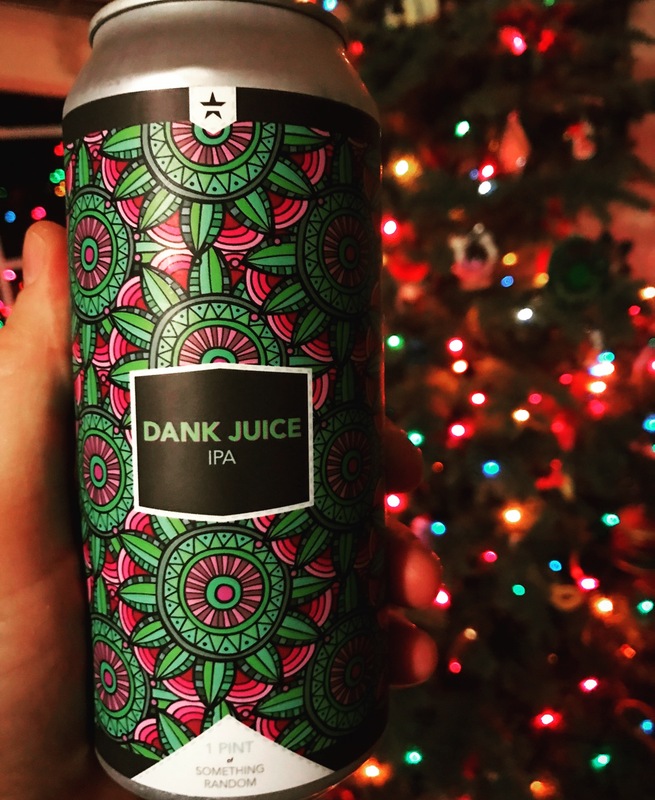 New Glory Dank Juice – Very nice citrusy IPA. Sierra Nevada Cranberry Saiuce Saison – Nice, light bodied Saison with the perfect touch of cranberry. 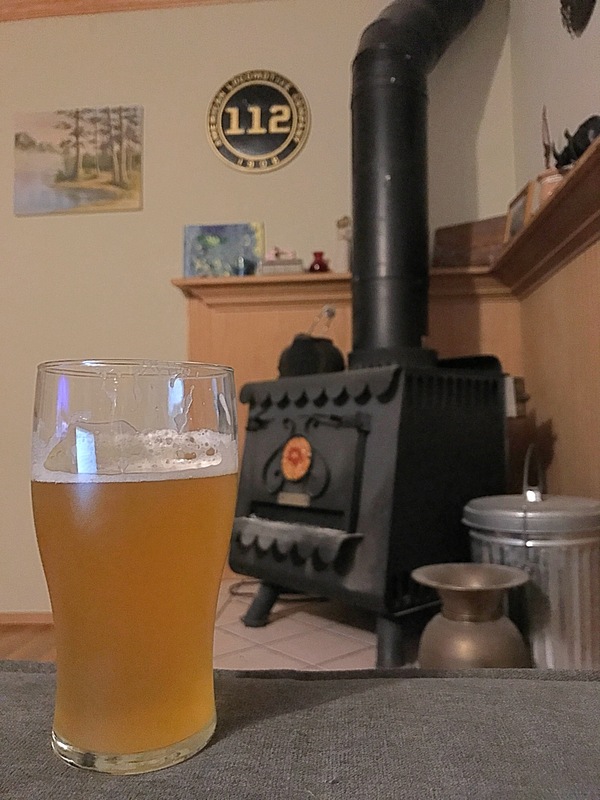 Boulevard Tank 7 Farmhouse Ale – A classic, and still a great beer. Not as funky as I remember, but that might just be me. 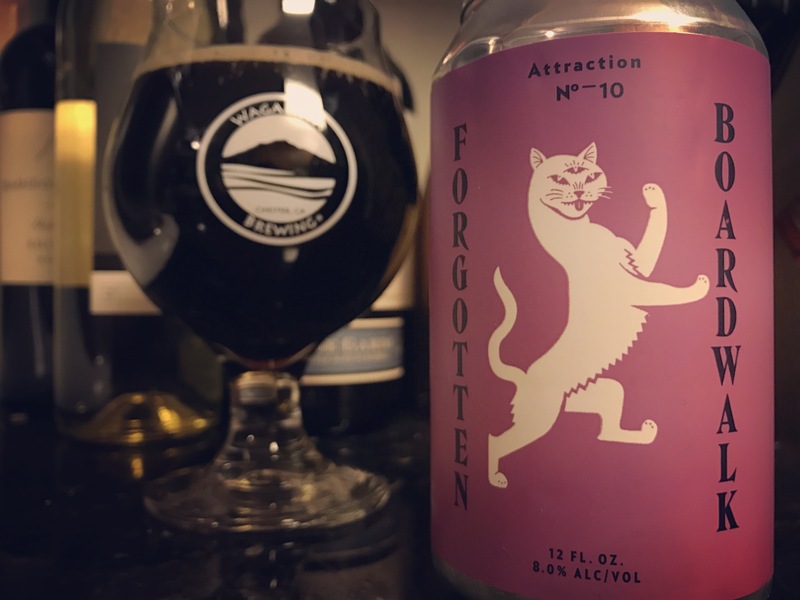 Forgotten Boardwalk Tight Rope Walker Baltic Porter – Baltic Porters are great and this is a good one. 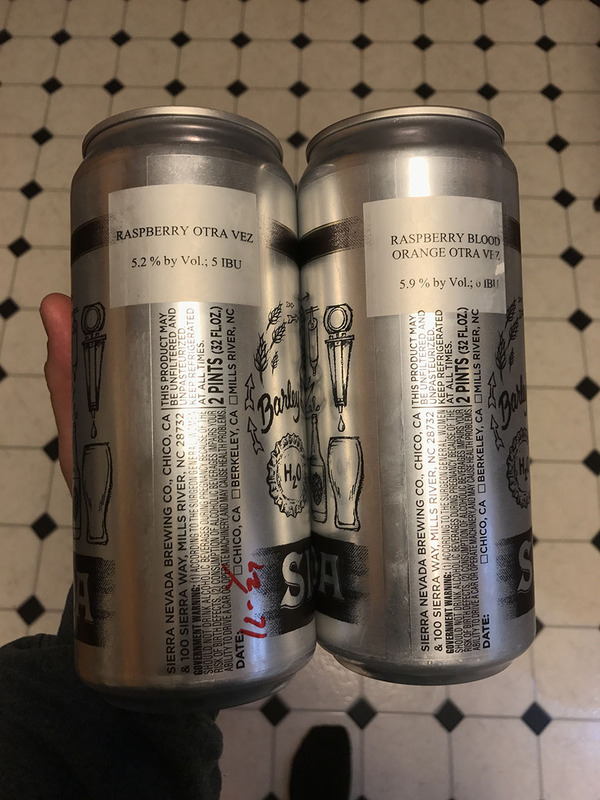 Sierra Nevada Raspberry Blood Orange Otra Vez Gose – Unlike some, I really like the original Otra Vez. This is even better and would probably appeal to those turned off by the cactus in the original. 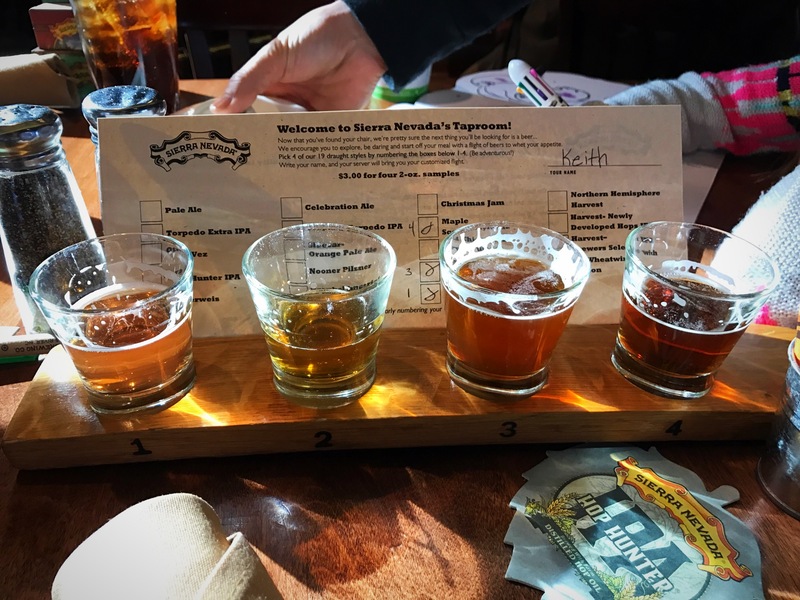 Sierra Nevada Raspberry Otra Vez Gose – Even better than the one with Blood Orange. I could drink this every day. 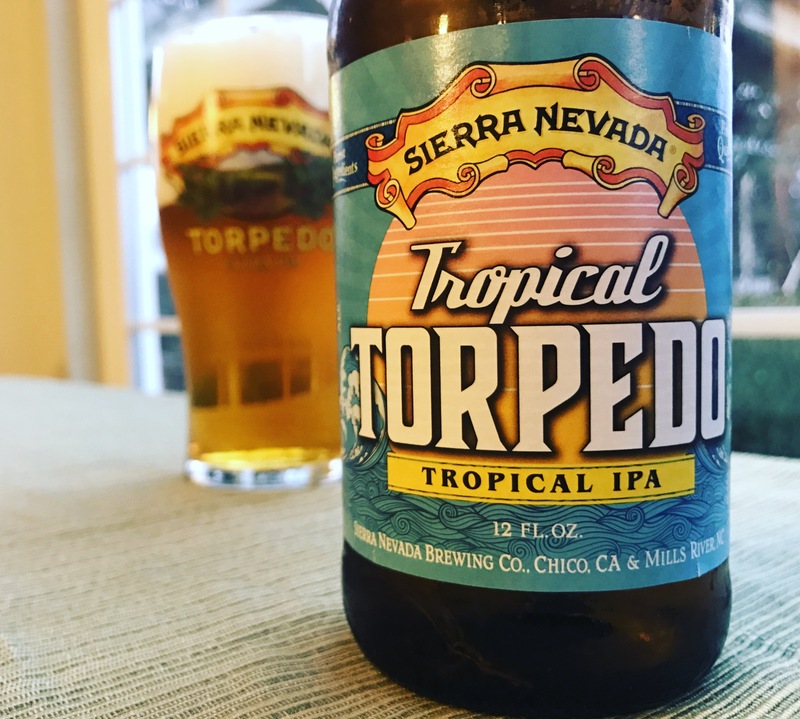 Sierra Nevada Tropical Torpedo – This lives up to the Torpedo namesake, except tropical hops instead of piney hops. You need to try this! 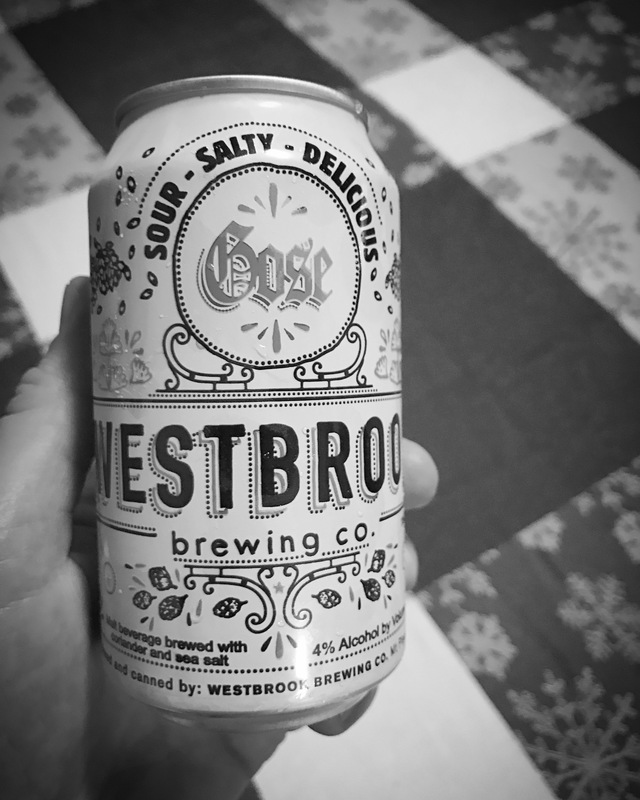 Westbrook Gose – More tart and saltier than most Goses. Very very good. I had a few cans and they disappeared alarmingly fast. Ol’ Republic Chocolypto Oatmeal Stout – This was my introduction to Ol’ Republic and I’m impressed. Creamy, chocolatey, and delicious. Ol’ Republic Dark Matter Scotch Ale – Another good one from Ol’ Republic. Very nice malty brew. 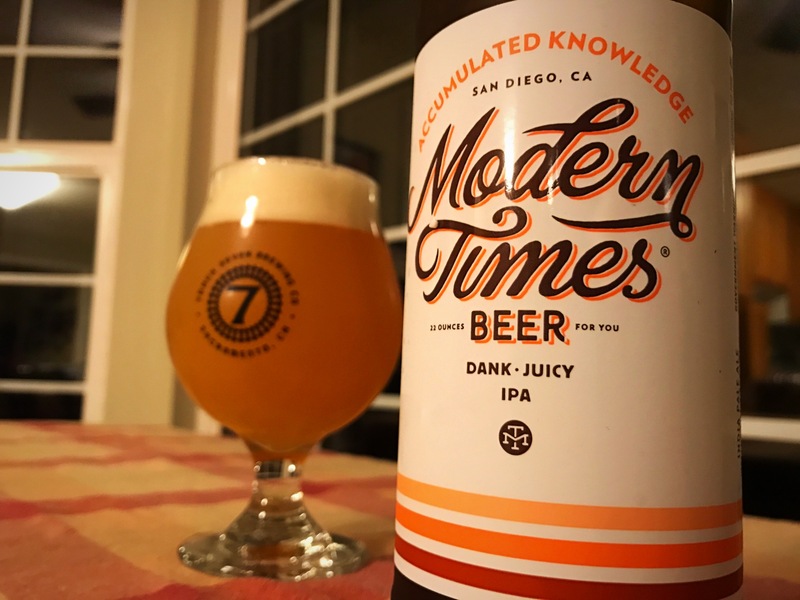 Modern Times Accumulated Knowledge IPA – Very nice cloudy IPA. Yazoo Hop Perfect – Not terrible, but with so many fantastic IPAs out there this didn’t really impress. 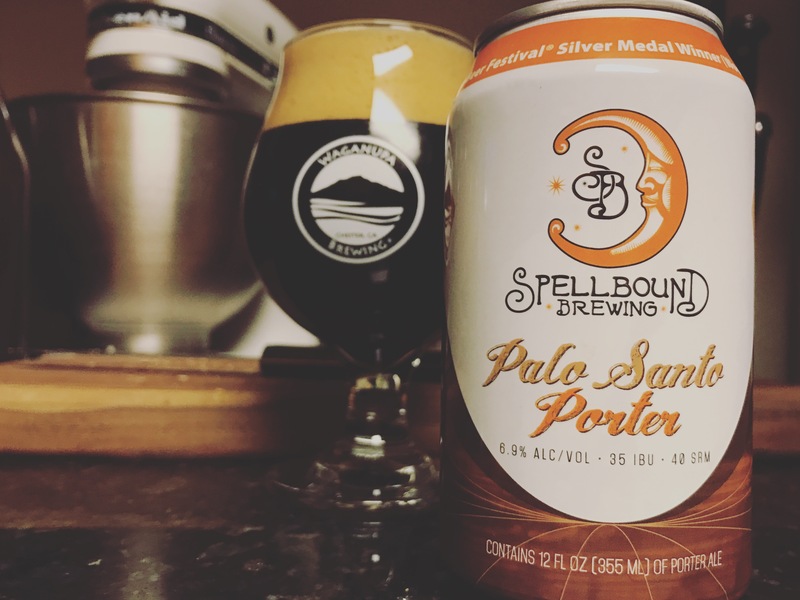 Spellbound Palo Santo Porter – Very good, woody porter. 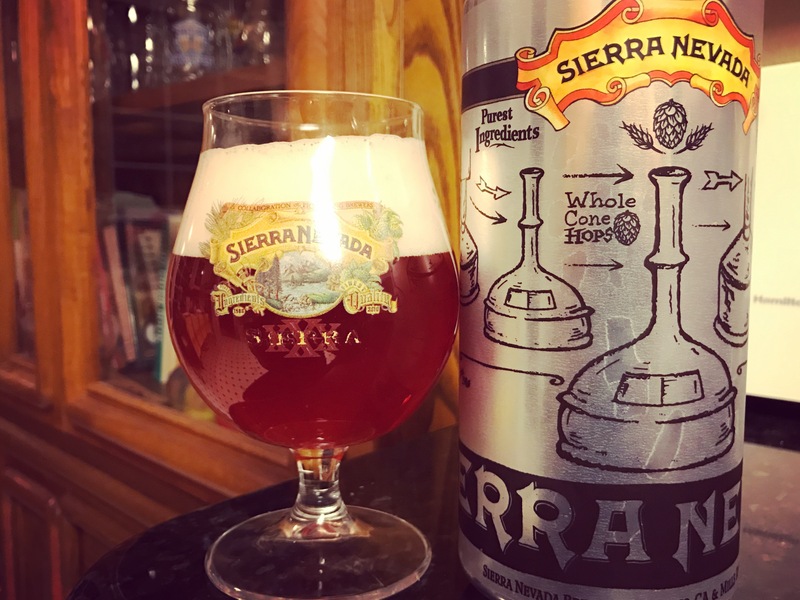 Sierra Nevada Cherry Chocolate Stout – This seems to be pretty widely distributed but I haven’t heard people going nuts about it like they have with the new Narwhals. I don’t understand why not, this is fantastic! 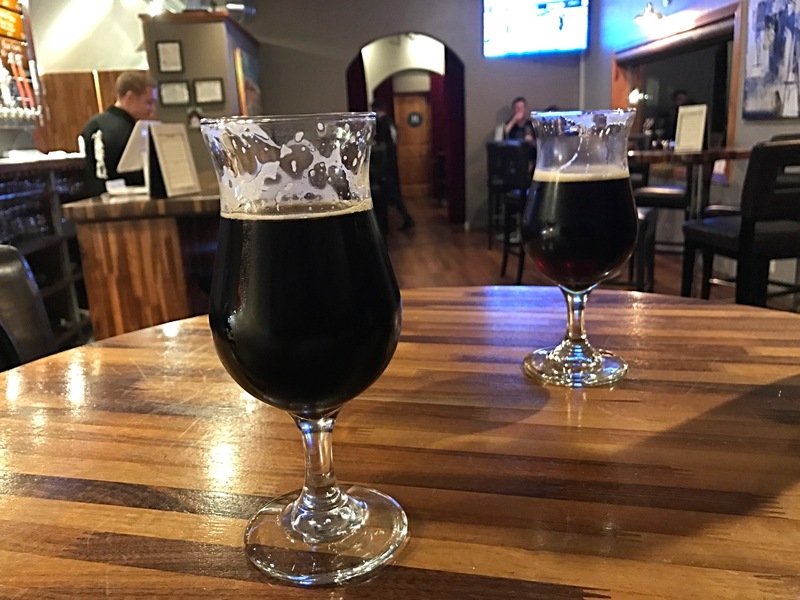 Firestone Walker Velvet Merkin (2015) – Somehow super bold and super smooth at the same time. Sublime. 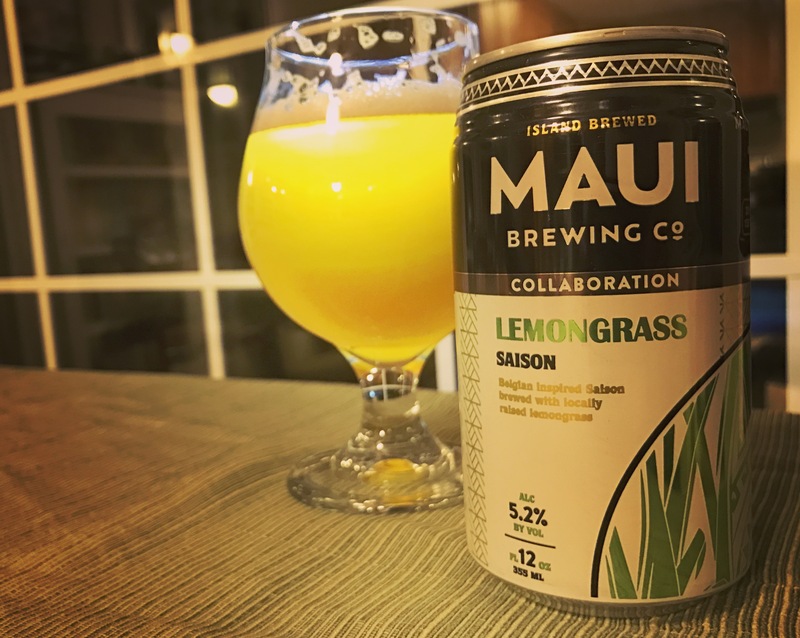 Maui Lemongrass Saison – Good stuff. Reviewed on BeerSelfie.com. 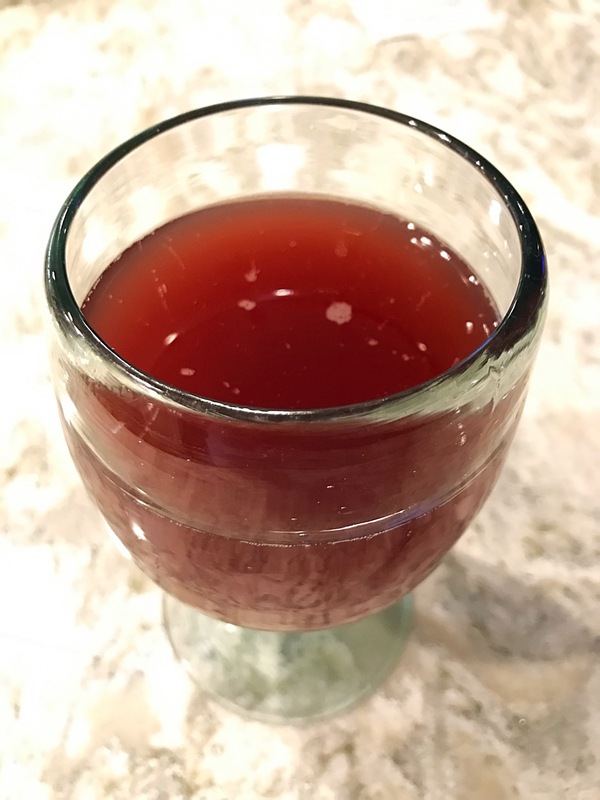 Lake Effect Blueberry Berliner Weisse – Blueberries were made to be in sour beers and Lake Effect did an excellent job with this beer. Via Tavour. 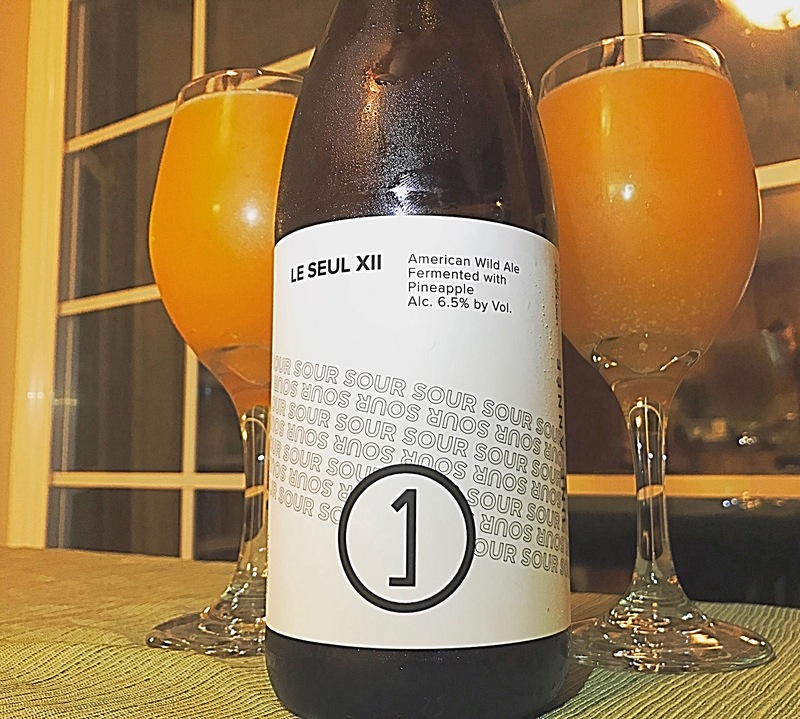 Une Année Le Seul XII Wild Ale with Pineapple – Very tart with enormous pineapple flavor. Mind blowing stuff here if you like sour beer. Via Tavour. 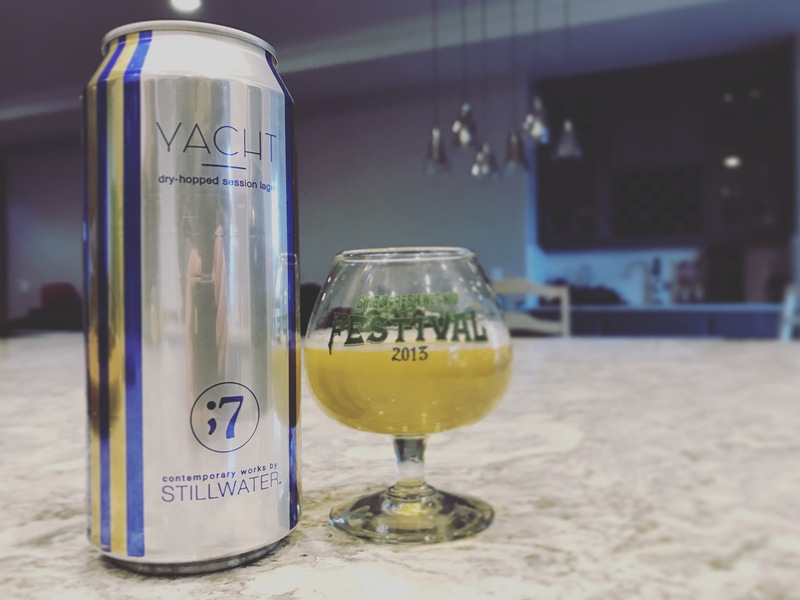 Stillwater Yacht Dry-hopped Lager – Very clean lager with lots of hops. Not my favorite hop flavors, but still really good. Via Tavour. 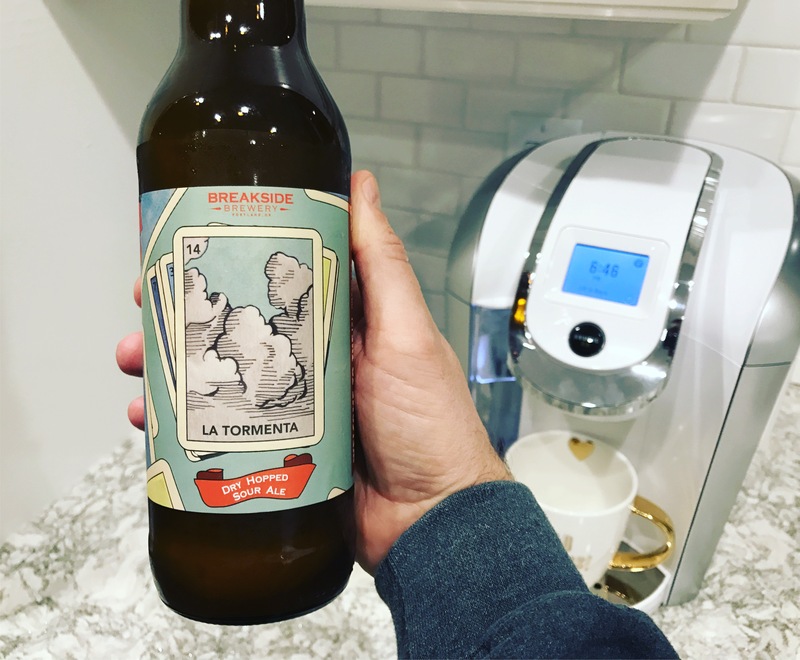 Breakside La Tormenta Dry-hopped Sour – Sour and hoppy combine for lots of melon flavor. Fantastic! The balance of sour and bitter reminds me of New Belgium’s Le Terroir. Via Tavour. Lord Hobo Steal This Can IPA – Big bitter citrus/pine hops. Via Tavour.